The Medium Castle is a great castle to rent when the budget is tight. With all the extras one has come to expect from Party Animals and yet still affordable. 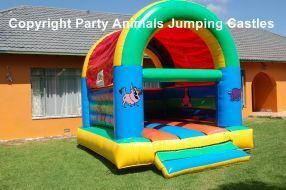 Johannesburg Franchise has two Medium Castles in different colours and with different animals.